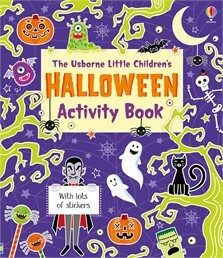 A spooktacular activity book packed with Halloween-themed activities, including puzzles, things to spot, drawing, doodling and colouring. Little children can use the stickers to create creepy Halloween monsters, learn how to draw a witch and wizard, match vampires with their shadows and much more. Puzzle answers are at the back of the book.